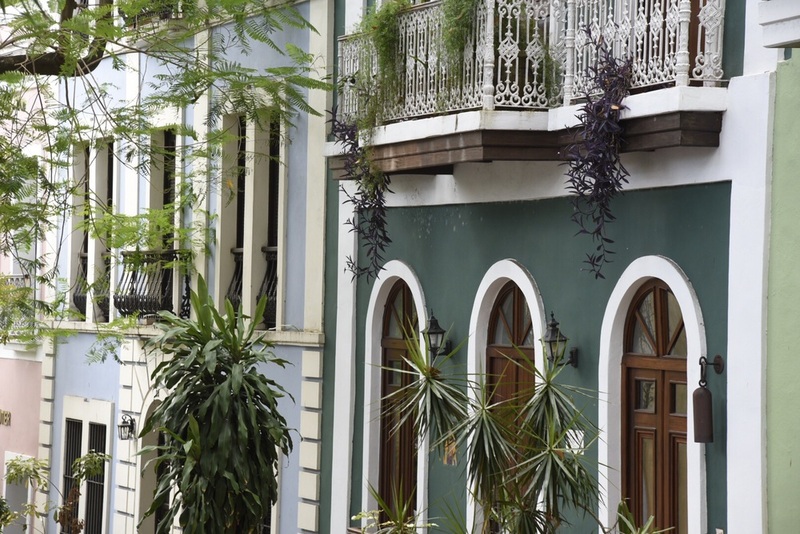 There is nothing like the vibrancy of Old San Juan! 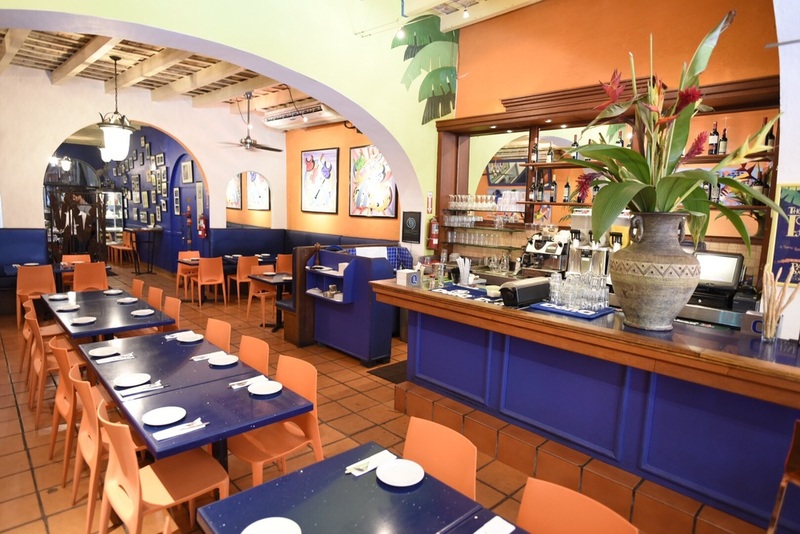 Colonial Spanish culture and color with an "of the moment" art and dining scene; it has "old" in its name, but everything but the architecture feels new and cool! We started our day at the Forts in Old San Juan before the heat of the day! San Cristobal is, in our opinion, one of the best forts for presenting the way the fortifications are built to work as defenses. 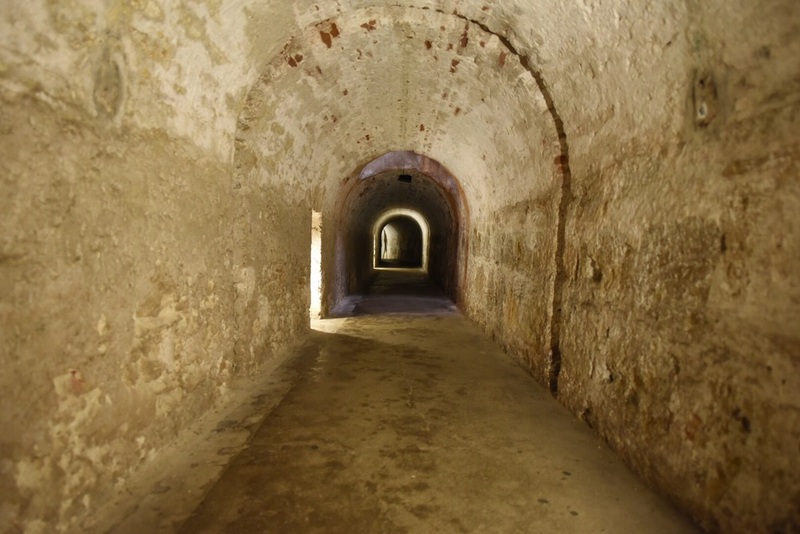 We missed the "Tunnel Tour" this trip, but it's offered at 10:30 AM on weekends and is not to be missed for an excellent under and above ground view of how the forts served as an important defense of strategic San Juan for the Spanish in colonial times. San Cristobal was built on the water, but located to provide defense to the interior of the island. Tunnels under the fort are a literally "cool" way to see life of the soldiers stationed in this new world outpost and understand the defenses of the fortification. A view of the Celebrity and Jewel of the Seas cruise ships docked at the Pan American pier. We next took the free tram from San Cristobal to El Morro. Here school children were flying kites on the lawn in some kind of festival. 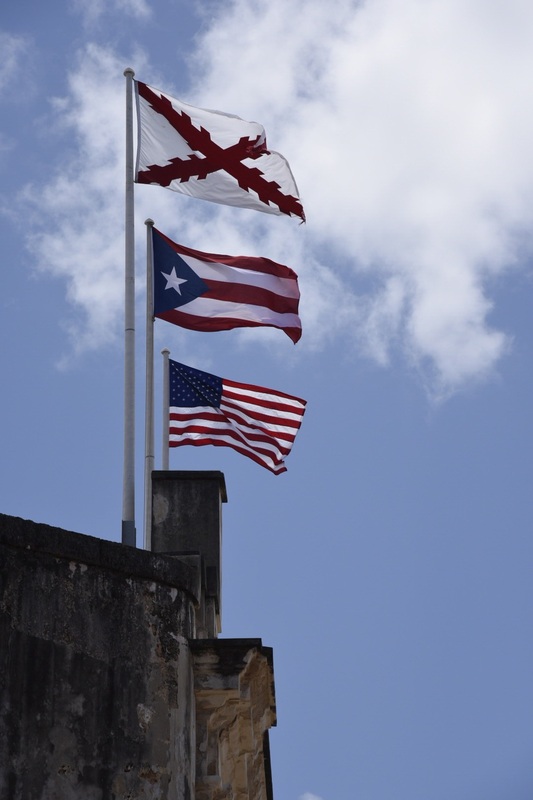 Every time we've visited we always see some sort of local event happening at the fort which means not only are we immersed in the colonial history, but also in the modern culture of Puerto Rican life! The El Morro light house, which we will pass by at night when we sail on Adventure of the Seas on Sunday! This fellow was enjoying the warmth of the walls and the tourist were enjoying him! Following our fort tours, we walked down the hills. By zig zagging down the hill from tiny alleys to be main calles, we were able to see a lot of colonial architecture along the streets of old San Juan. Here an icon serves as a "street address" on St Sebastion! On Calle Hospital, an organization cares and feeds the local feral cats, who are very friendly and happily pose for photos! Beautiful bouganvillia drapes down an upper balcony. It took nearly 3 years, but we finally made it to a restaurant recommended by a Crusie Critic member from San Juan. 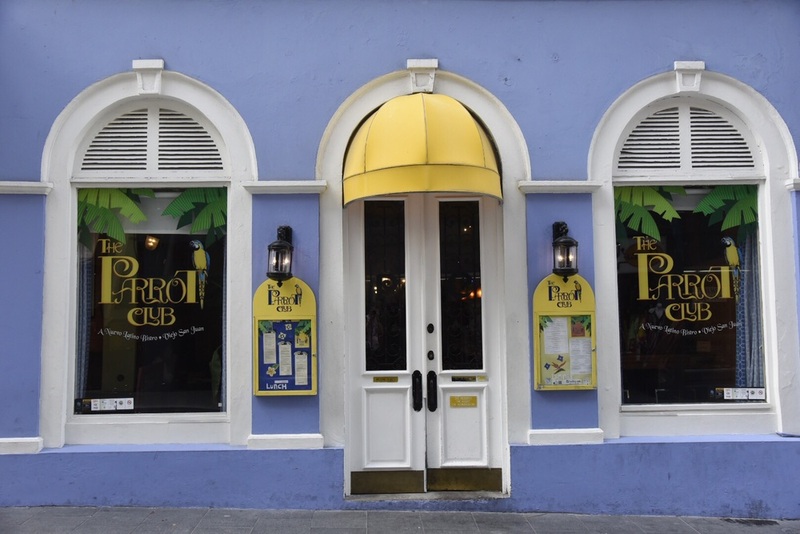 Parrot Club (Calle Forteleza) has a fun vibe, colorful original art and even better food! With a piano tucked in the corner and mojito happy hour, I bet it's even more lively at night! 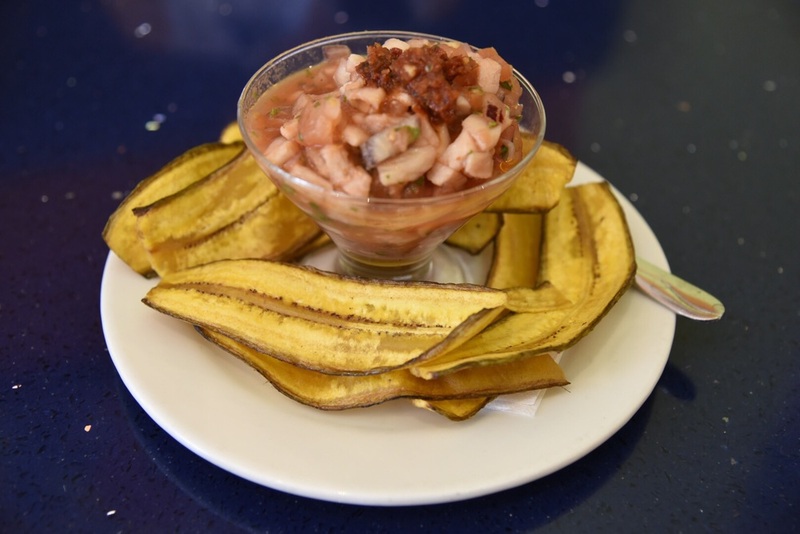 A ceviche appetizer with plantain chips. Another recent recommendation on line - Cafe Cortes on Calle San Fransisco. 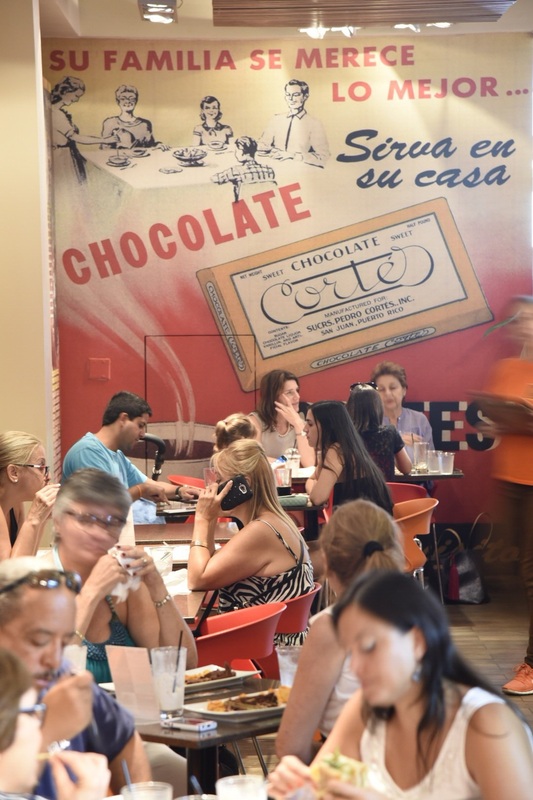 This home of the Cortes chocolate family houses and uber cool chocolate bar and restaurant, where everything on the menu has at least a touch of chocolate. 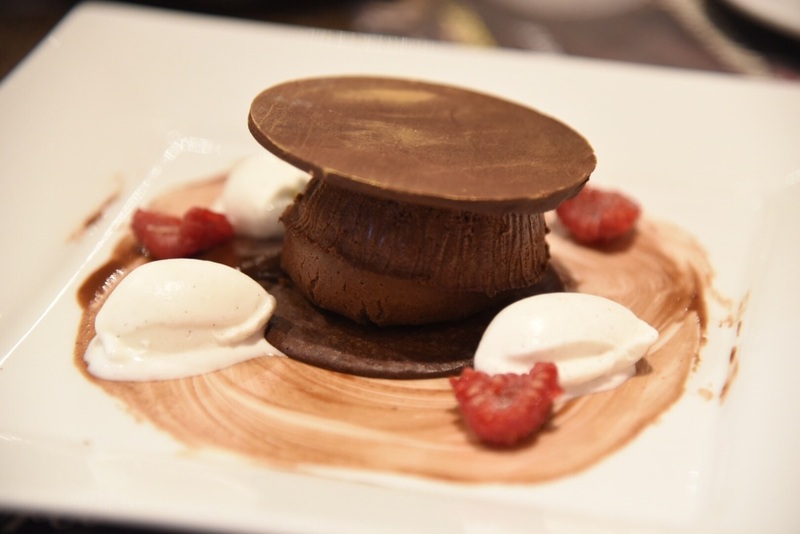 We may have had more than a touch with this lava cake dessert! And don't miss the Frio Chocolate drinks! Upstairs in the old colonial villa is the fascinating modern Latin American art collection of the Cortes family (free). Today they were holding a free concert with Jose Luis harpist.